Is it already time to ask Santa for a bag filled with new Lehigh recruits? 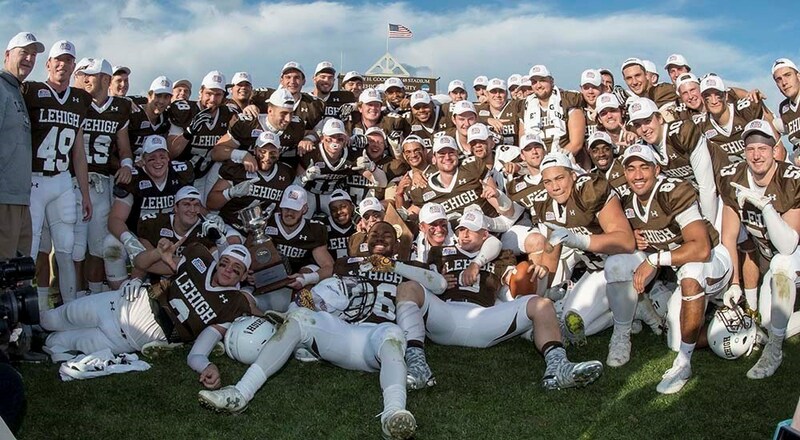 Since the conclusion of Lehigh’s championship 2016 football season, head coach Andy Coen and all of his assistant coaches have been on the trail recruiting the next great Lehigh football players. While it’s a “quiet period” now, as per the NCAA, the Mountain Hawks have been busy. But what, exactly, does Lehigh need in regards to the offseason? I forgot; that’s why you’re here. Let me share what I think. Kids come to play football at Lehigh because they want their games to matter. They come to Lehigh willing to sacrifice so much, because they want to win games, of course, but they also play the game in order to win championships – Patriot League Championships. Sure, they get to square off against the Villanova’s, James Madison’s and New Hampshire’s of the FCS world to measure themselves against the best of their division. And they get to participate in the nation’s most played Rivalry in all of college football, putting them in an elite club of players and into college football history. All of those things are very important, of course, and allow them great playing memories and, in the case of the Lafayette game, perennial bragging rights. But 2015’s heartbreak in Hamilton, the 49-42 loss to Colgate, really hurt on a fundamental level for this Lehigh team. When that senior class was recruited, one of the things that is a part of the deal is that the Mountain Hawks have won Patriot League championships at least once in every four year span. Until, that is, the class of 2016, though they came agonizingly close several times. That disappointment seemed to inform this year’s team, which also had a couple of fifth-year seniors in senior WR Derek Knott and senior ROV Laquan Lambert, that so many of last year’s team didn’t get the chance at the championship rings that they ended up earning this season. It informed them all the way to a championship, and rings. What Are You Doing the Night of Lehigh’s 2017 Home Opener? It’s the weekend of the home opener at Murray Goodman Stadium, Labor Day weekend. It could be a Thursday, Friday, or Saturday. In 2018, the Lehigh football team will open the season with a big celebration of the football program – at Navy, Lehigh’s first game against an FBS team in over a decade. In 2017, why not, as a one-off opportunity, try to have one Lehigh football game, the home opener, be the first-ever night game at Murray Goodman Stadium? Will it cost money? Yes. Will it be easy? Probably not. However, is it doable? I’ve got to believe the answer is “yes”. Still bummed that Lehigh’s Patriot League Championship season is over? Yeah, me too. That doesn’t mean that I’ve totally tuned out the college football landscape, though. Starting tonight, there’s some terrific games on TV and online streaming that I’ll be watching, both at the FCS and the FBS level. Happily, the FCS Round of 16 games are not all going up against each other like last week, so the opportunity is there to catch one or more of those games – and you can bet that I will be. Below the flip, starting with the MAC championship game tonight, are my picks for games to watch, and – why not? – some picks as to who I think will win. 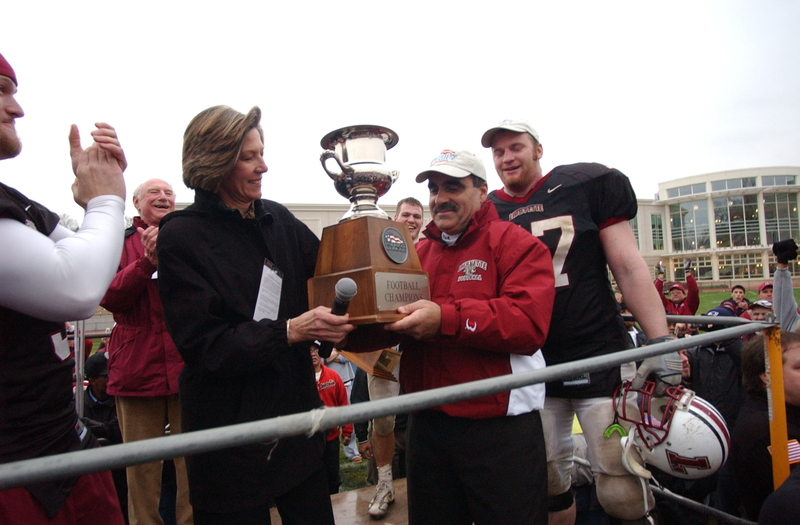 The first time I asked a question of Lafayette head football coach Frank Tavani was in 2004. It was at Fisher Field, and I had just spent my first game ever in the press box. I had gone into that press box hoping to cover an expected Lehigh victory over Lafayette, the final crowning glory to yet another Lehigh football season. I barely knew what I was doing, how I should act, or how to set up a computer in the press box. But there I was, taking notes for a “game diary” for a national website called I-AA.org. But Lehigh did not beat Lafayette in 2004. Instead, fourth year head coach Frank Tavani’s team would dominate the Mountain Hawks on both lines of scrimmage to secure a well-deserved 24-10 victory, and in so doing punched their first-ever ticket to the I-AA Playoffs. It was in this environment where I would first ask a question of Frank Tavani, that year a finalist for the Eddie Robinson award for the best head coach in I-AA football.